A delightful island-styled life is waiting for you only at Iland at Picnic Garden in Kolkata. Breathe in the fragrance of luxury as you feel the soft cares of comfort. Strategically located at Kasba of Kolkata, Merlin Iland presented by Merlin Group invites you to enjoy a peaceful and luxurious life with no compromise in comfort. This development is a place where water meets the land and your body meets the soul. A charming island with extreme edition super luxury homes awaits you here near Ballygunge Phari! Spread over 20000 sq. ft. of land area, enjoy Kolkata’s first ever island with Mervin Iland at the heart of the city. The development comes with fully AC 3 and 4 BHK lifestyle homes. A total of just 117 residential apartments are housed in two towers of B+12 and B+G+24 heights. The size of these residential units ranges from 1436 sq. ft. to 2117 sq. ft., offering ample space that can always make you smile. The homes here also come with designer tile flooring, elegant kitchens, lavish finish, video door phone facility as well as detailed and spacious layouts for free cross ventilation. This architectural creation maintains utmost space and complete privacy for the comfort of the buyers. Allowing maximum natural light and air flow, these homes will always make you feel energetic and lively. 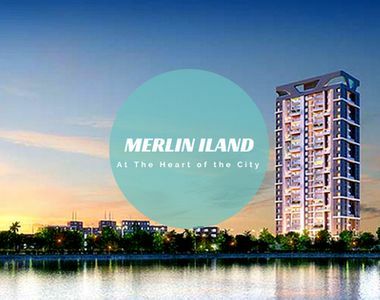 Merlin Iland Kolkata is the result of the world-class architecture and luxurious external amenities. The amenities inside this township are simply mind-blowing. From a vast clubhouse, a health club, an AC gymnasium, indoor games room, community hall to a rooftop swimming pool and garden, this development has everything that is simply unimaginable. A dedicated play area for kids, a dedicated basement parking, high-speed elevators and a water lily pond further add beauty of this residential complex. This premium development is located near Ballygunge Phari on Picnic Garden Road, which is one of the most promising locations in South Kolkata. The location offers convenient access to some of the most desired facilities in the city. Restaurants, shopping malls, schools, healthcare facilities, entertainment zones and nightlife experience – All are at close proximity. Apart from this, Birla Mandir, Science City, Quest Mall, Pantaloons and Ruby Hospital are just a few kilometers drive from the project. The price of the apartments here starts from just Rs. 81.70 lakhs and goes up to Rs. 1.20 crores, according to the size and location of the home. 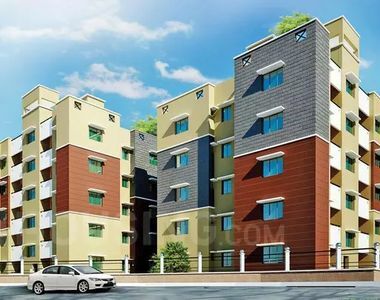 The apartments here also come with a number of lucrative offers, NRI services and easy home loan services for the comfort and convenience of the buyers. So rush and book a sophisticated home in Merlin Iland Picnic Garden to live a life to the fullest.